#Foodgasm alert: When did Mumbai get so dessert-savvy? We’re attending classes at Le Cordon Bleu, sourcing chocolate from Venezuela and vanilla from Tahiti. When did we get so dessert-savvy? Madagascar from La Folie: Raspberry mousse, balsamic vinegar and flourless chocolate cake made using single origin cocoa bean from Madagascar. Gleaming steel kitchen counters set against flawless white walls and a spanking new mixer is an irresistible sight for any baker. Add to that the sweet aroma of cinnamon and vanilla from a large oven. 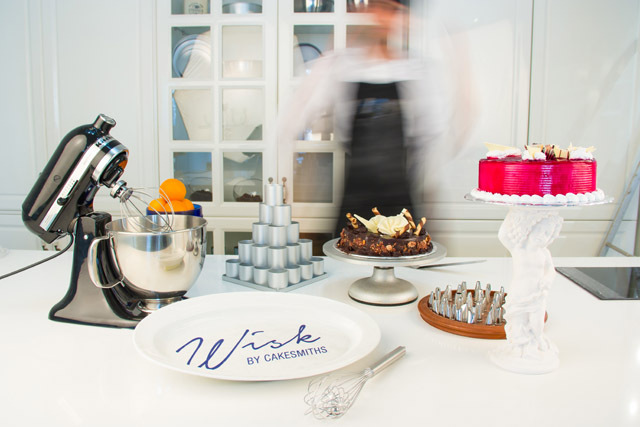 We are not on the sets of MasterChef Australia, but at Wisk by Cakesmiths, a newly opened baking studio in Kala Ghoda. At the studio, as a few apron-clad students pore over a recipe and take meticulous notes, ‘Asia’s Best Pastry Chef’ (according to World’s 50 Best Restaurants awards) Janice Wong works her magic on a signature creation — the Guava Mango. Wong combines mango and cardamom sorbet, hibiscus sauce, thyme snow (made by vigorously whisking thyme oil and maltodextrin, a food additive), with a hint of chilli foam. She knows Indians love their spices. But what she didn’t expect was how easily her eager audience picked up tricky dessert terms and techniques. 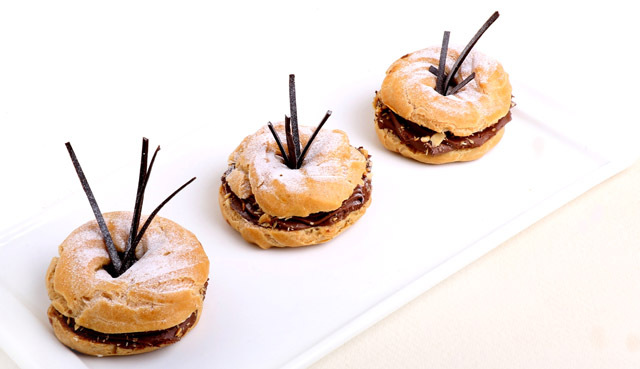 Yes, we can tell a choux from an éclair, and we know that a macaron and a macaroon are not the same thing. “Today, there is no need to educate the Indian customer. They know what they’re eating, and what they want. Just the other day, a customer remarked, ‘That dessert looks like the one on MasterChef’,” says Chef Anees Khan of StarAnise, a newly opened French patisserie in Bandra. Wisk, meanwhile, started by 25-year-old Vrinda Jatia, will hold regular workshops on pastry, and bread-making by popular bakers from the city and abroad. Last weekend, Amal Farooque of Sugaroverdose, known for introducing Mumbai to cake pops (cake meets lollipop), conducted a workshop on fusion desserts. The outcome was Gulab Jamun with Dulce de Leche. The workshop here by Wong — who, we’re told, will be a frequent visitor — was priced at an incredible Rs 57,000. And the class was packed. Four years ago — when Khan moved back to India after stints in Oman, Egypt and Canada — there were fewer standalone dessert shops, and our pastry obsession was yet to pick up. “At the time, I couldn’t have imagined opening a patisserie that specialises in 17th and 18th century French desserts,” says Khan. 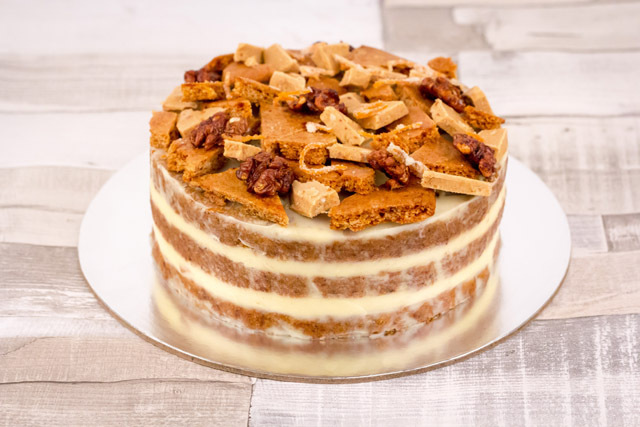 At his Linking Road bakery, he serves La Creation Dulce de Leche (French cheesecake made of caramel, condensed milk and crème cheese) and Crème Brulee Torte, among other French delights. While Indians love their sweets, our exposure to international-quality desserts began when chefs started travelling abroad and returned with more than just photographs. As a 16-year-old exchange student in France, Kainaz Messman of Theobroma spent most of her time in cafés and patisseries than in school. Her experience translated into her first outlet in Colaba more than a decade ago. Messman can be credited with making cheesecake and brownies mainstream, at least in Mumbai. Similarly, when Pooja Dhingra set up Le15 Patisserie six years ago, she introduced the city to its first macaron. “Today, when I serve a smoked dessert, people expect that kind of drama,” says Khan. While Khan’s creations prescribe to the French ideology of desserts — pretty creations and petite portions — the recently launched Ellipsis Bakery believes in hearty slices in line with its all-American theme. “People have refined palettes, thanks to more travel and better exposure. 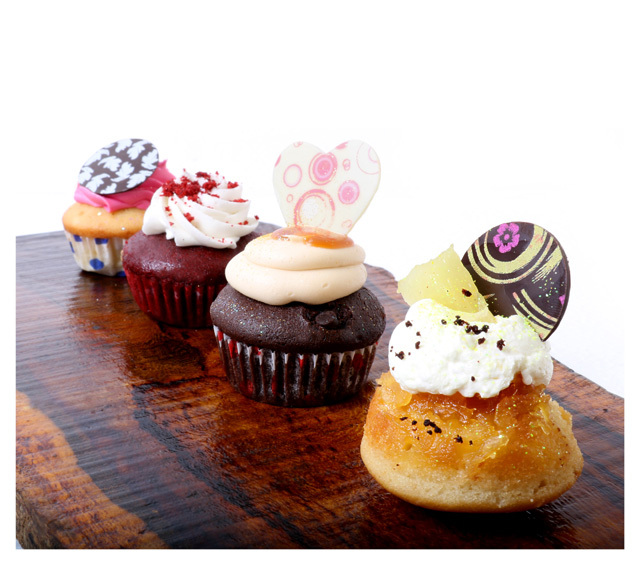 They want decadence,” says Ellipsis’s Sanjana Talwar, stressing on the importance of quality ingredients. But for a country that has had a long history of sickeningly sweet pastries with icing that reeked of artificial flavouring, how and when did our palettes mature? “When I set up my first bakery, people didn’t know what a macaron was. Even finding simple ingredients like good-quality chocolate was a problem,” rues Dhingra. However, today, with the availability of quality ingredients and better equipment, chefs are able to experiment with different kinds of desserts and find their niche. “Someone is just doing cakes, some people are doing ice cream-based desserts; some are doing just cookies,” she adds. Chefs are putting their unique spin on artisanal desserts by adding exotic flavours like wasabi, yuzu, passion fruit and basil. They are importing chocolate from Venezuela and vanilla from Tahiti. “One Tahitian vanilla bean has the same amount of flavour as six Indian ones,” says Le Cordon Bleu-trained pastry chef Sanjana Patel of La Folie, who specialises in adding Asian elements to French desserts. At StarAnise, Khan imports fresh cream from France, known for its richness. Thanks to the global movement of looking inward for inspiration, chefs are experimenting with desserts by giving them an Indian twist. For instance, at The Bombay Canteen, a donut-sized Gulab Jamun comes doused in Old Monk and pistachio cream. And the newly-opened gastropub, Monkey Bar serves a mean Rasmalai Panna Cotta. In fact, Patel found a fan in Wong for her Paan and Rose Gulkand macarons. “During her last visit, she picked up a few from the store and came back for more,” says Patel, who is all set to open her third outlet in the city later this month. Called the La Folie Lab, this space will feature an herb garden that will become the inspiration for many of her creations. People can see the micro greens grown in the garden and then chefs plating up a dessert made using this fresh produce. The menu, too, will change depending on what’s blooming in this garden. The year 2013 was truly the year of home bakers. It is no mere coincidence that it was also the year international baking appliances maker KitchenAid launched in the country. “Five years ago, all one could get for baking was a whisk. Today, a stand mixer (the sort you see, again, in international cooking shows) has become fairly common among hobby bakers,” says Aishwarya Lahiri-Khanna, a media and design analyst during the week, and a food blogger on weekends. E-commerce platforms like Cakesmiths and The Secret Ingredient now sell high-quality baking equipment and ingredients. Aishwarya Kumar, another hobby baker, says the availability of good equipment really changed what people could do from home. “Customers don’t want basic cakes anymore; their expectations are high,” she says. Cakesmiths now sell high-quality baking equipment and ingredients. It isn’t surprising then that there are baking classes being conducted almost every weekend. And those who can afford to fly to Switzerland or Paris to learn the techniques from the masters themselves, are doing so. “When I was studying to be a pastry chef in Paris, I was the only Indian at the school. But last year, when I went back, every class had five to six Indian students,” says Dhingra. Evidently, we have come a long way: from the days of humble baking experiments in a pressure cooker using grandmother’s recipe, to spending on cutting-edge (and quite expensive) equipment such as blowtorches and dough mixers. Add to that influences such as MasterChef, mood boards on Pinterest dedicated to baking, and the food obsession that Instagram fuels, and this sweet revolution is just getting started. Desserts, anyone? Arife Lamoulde: One of the earliest baking supplies store in Mumbai, Arife is your best bet for cheap moulds for cakes and breads. Here, you can also find instant yeast and bread flour. Foodhall: Head to the bakery section for Cocoa Craft, available in both milk and bitter chocolate varieties and butters like Elle & Vire and President. You can also find basic baking equipment such as bowls, spatulas, whisks, trays, moulds, brushes and cutters. Cakesmiths: Fancy making a fondant-based artistic cake? This online store stocks up on smoothers, modeling tools like knives and scriber. Here, you can find starfish-shaped moulds and even seahorses as silicone moulds. Godrej Nature’s Basket: Looking for imported ingredients like Sri Lankan cinnamon, vanilla beans, fleur de sel and wasabi? Head to any of its outlets in the city. Nature’s Basket is also a good place to pick up good quality cooking chocolate like Callebaut, Morde and Selbourne. Neha Sethi: This investment bankerturned-baker, who started selling cookies from her humble Tata Nano, opened her first outlet in Lower Parel last year. Sethi’s second outlet in Bandra will dish out her popular Nutella sea salt and the double chocolate truffle cookies. Shaheen Peerbhai: This pastry chef and writer trained at Le Cordon Bleu Paris and London on multiple scholarships has recently won the Alain Ducasse Education Scholarship by the James Beard Foundation. Though she lives in Paris now, follow her journey through her blog, purplefoodie.com, and keep an eye out for her baking classes in the city, which she conducts on her annual trips to Mumbai. Rebecca Vaz: She runs The Baking Tray, a bakery that specialises in theme-based cakes. Vaz attributes her interest in baking to her roots in Bandra. Ankeeta Chawla: From being almost 90kg to now successfully running Eat-A-Whey, a healthy bakery, Chawla has come a long way. She partnered with Richard Lovatt, UK-based health and nutrition expert who has also trained Arjun Kapoor, to come up with healthy desserts like chocolate protein cheesecake and red velvet protein cupcakes. Financier (fi-nans-ier): This cake is light and moist, similar to a sponge cake and usually contains almond flavouring. 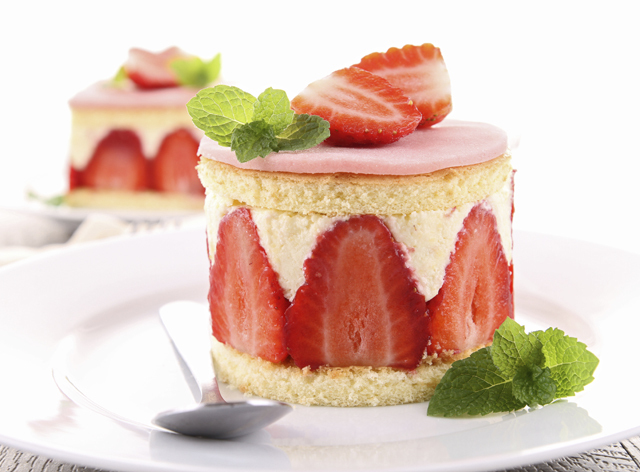 Fraisier (frai-zee): The fraisier gets its name from the French word for strawberry, which is assembled in layers along with rich crème mousseline filling and sponge cake. 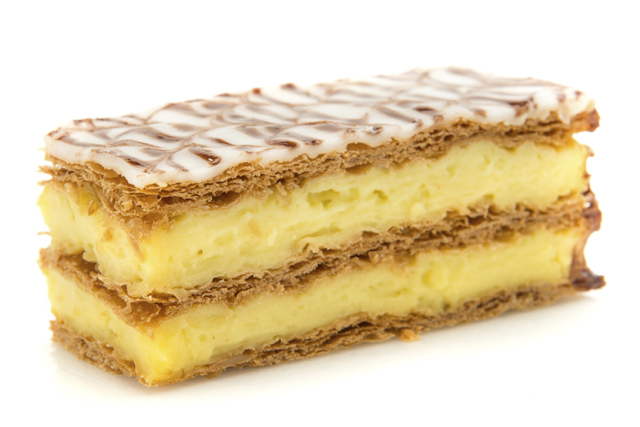 Mille-feuilles (meel-foeey): ‘Mille’ means 1,000 and ‘feuilles’ means leave. This dessert is simple to make as it requires only flour, water, a pinch of salt and butter. Gateau St Honoré (gah-toe oh Sant Honor-ay): This layered cake was named in honour of the patron saint of French cuisine, Saint Honoré. Madeleine (maddle-en): These small buttery cakes have a distinctive shell-like shape. Tarte Tatin (tart tah-tan): This upside-down cake usually contains caramelised fruits. Palmier (paul-meer): This sugary pastry is named so because the dough is twisted to look like a palm tree.